Get to Know the Redesigned 2019 Subaru Forester at Tucson Subaru! For years, the Subaru Forester has been the choice of many different types of drivers because of how many different lifestyles it can accommodate. This year's 2019 Forester holds that legacy true once again, offering tremendous capability and confidence behind the wheel to take your adventures anywhere, as well as spacious versatility for everyone and everything in your life. What this year's 2019 Forester does differently from previous model years, however, is deliver a redesigned styling inside and out, full of the latest technological advancements in entertainment, convenience and safety, as well as a more spacious and comfortable all around interior for everyone involved. 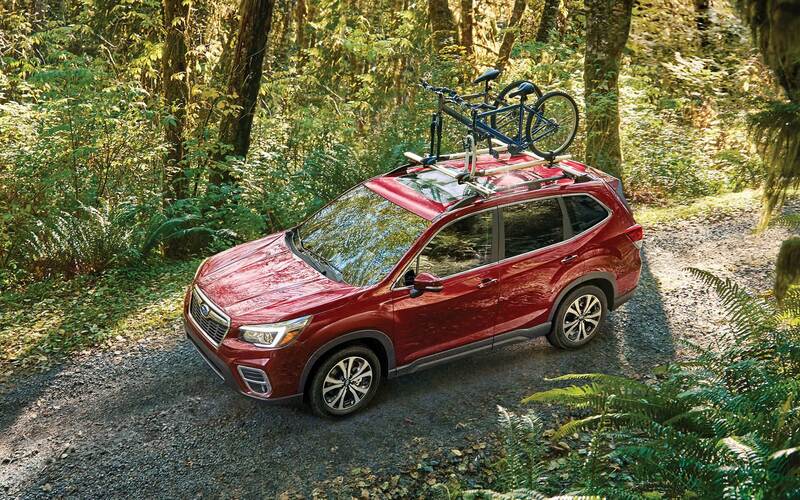 Whether you're looking for a new family vehicle, something to help you achieve all of your favorite outdoor activities or a versatile crossover SUV to make every daily commute more enjoyable and easy, look no further than the new 2019 Subaru Forester! The 2019 Forester introduces the all-new Sport trim, offering a uniquely bold and striking exterior and interior appearance, highlighted by black gloss and orange accents and 18-inch black alloy wheels. 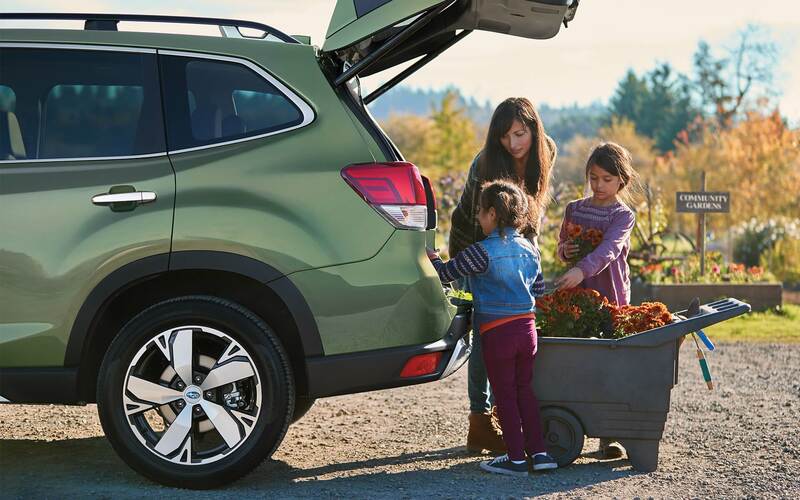 The 2019 Forester offers more passenger and cargo volume than any previous models did. Now with 111.9 cubic feet of passenger volume and up to 76.1 cubic feet of cargo volume, as well as standard raised roof rails and a wider rear gate, it's never been easier to comfortable fit everyone and everything. Previous model year Forester models came either with a standard 2.5-liter four-cylinder engine or an available 2.0-liter turbocharged four-cylinder engine. Most drivers elected for the standard engine, however, which is why this year's 2019 Forester comes equipped with an upgraded 2.5-liter four-cylinder Boxer engine that produces 182-horsepower, which is 12-horsepower more than last year's standard engine. The Subaru Eyesight Driver Assist Technology system now comes standard on all new 2019 Forester models, providing you with an extra set of eyes on the road and the utmost confidence everywhere you go. Eyesight offers features like pre-collision braking, lane departure and sway warning with lane keep assist, adaptive cruise control, and pre-collision throttle management, providing you with audible and visual warnings as well as the ability to apply the brakes for you if you fail to do so on time. The Subaru Eyesight Driver Assist Technology system now comes standard on all new 2019 Forester models, providing you with an extra set of eyes on the road and the utmost confidence everywhere you go. Eyesight offers features like pre-collision braking, lane departure and sway warning with lane keep assist, adaptive cruise control, and pre-collision throttle management, providing you with audible and visual warnings as well as the ability to apply the brakes for you if you fail to do so on time. As we mentioned before, the new 2019 Forester comes equipped with a standard 2.5-liter four-cylinder Boxer engine that now produces 182-horsepower, and can achieve up to an estimated 33 mpg on the highway. The Forester continues to be the only vehicle in its class to come equipped with standard all-wheel drive. Subaru Symmetrical All-Wheel Drive actively sends power to the wheels with the most traction, which can mean all four during normal on road driving conditions, or the two with superior traction when travelling off road or in poor weather conditions. With a rugged build and 8.7-inches of ground clearance to boot, the Forester allows you to take your adventures anywhere your heart desires and have more fun while doing it! Learn More About the New 2019 Subaru Forester at Tucson Subaru Today! 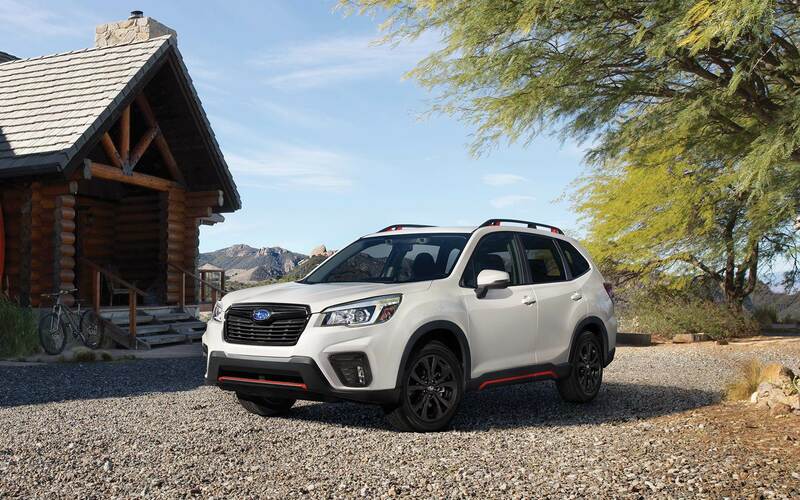 The new 2019 Subaru Forester is available in four trim levels: Forester, Forester Premium, Forester Sport, Forester Limited, and Forester Touring, and if you're interested in finding out more about which new Forester model is the best fit for you, we welcome you to join us at Tucson Subaru today to talk to our knowledgeable team of Subaru experts about everything the new 2019 Forester has to offer. 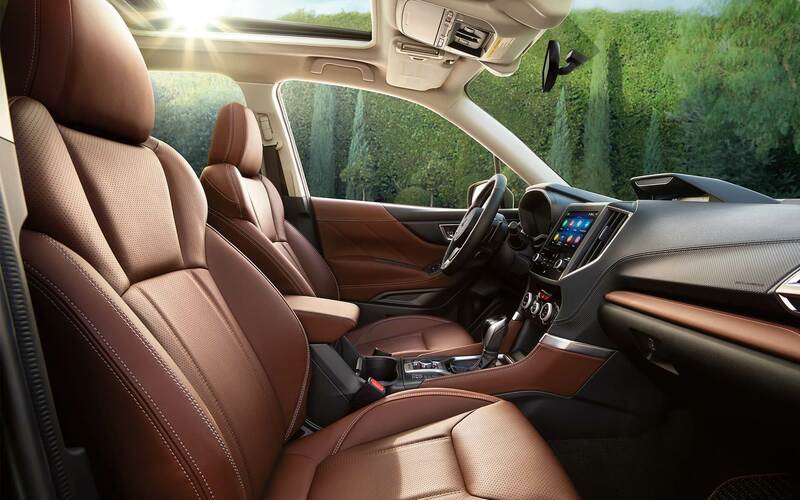 Between its tremendous capability and versatility as well as its elegant comfort and state of the art features integrated throughout, we're sure that the new 2019 Forester will be the right fit for you! Learn More About the 2019 Subaru Forester!